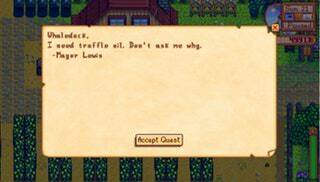 Quest Text: Mayor Lewis wants truffle oil. He won't explain what it's for. Maybe it's none of your business. Requirements: Bring Lewis a bottle of Truffle Oil. Stardew is a farming role-playing simulation video game which requires to be played with by creatively combining strategic planning with precise timing to make a move. The game incorporates a series of real-life quests that continue to increase as the players make progress in the game. This is a brief step by step guide for solving a quest called ‘Mayor’s guide’ as it could be a very problematic quest for beginner’s level players. A brief synopsis of this challenge is that the mayor of the town has asked you to provide him ‘truffle oil’. You start off the quest but to complete it successfully, it is important that you follow a certain pattern which is detailed in the following lines. 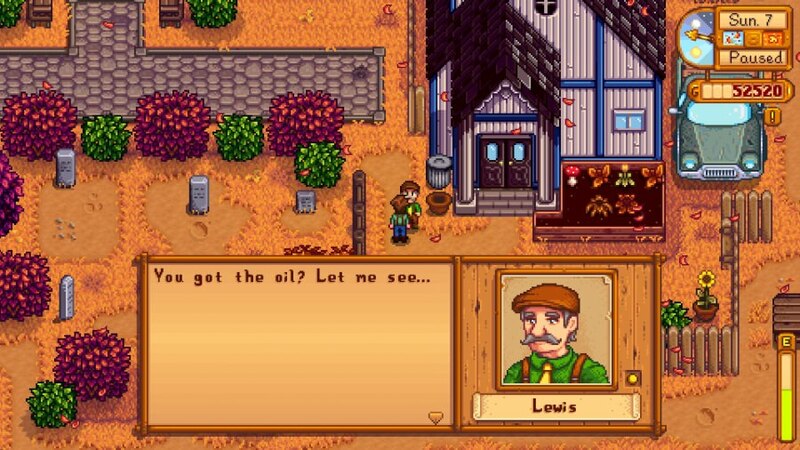 The mayor named Lewis sends you this request on the 21st spring season. From what it seems, the mayor only wants you to arrange truffle oil for him and doesn’t want you to know the reasons he needs the oil for. Well, there might be some private matters behind his request for the truffle oil. But that doesn’t concern you. Your real quest is to bring him what he needs. ●	Though all of this look like pretty standard stuff, beware that slimes are likely to take you some time to collect if you do not have a slime hutch, or you haven’t made much progress either into the mines or skill cavern. ●	That’s where you first step comes to an end. Next you will aim to get truffles. These are all rooted up by pigs. This means you will also need to find a pic. And to get a Pig, you will have to upgrade one of the barns to a deluxe Barn. This will require 25,000 gold, 550 wood, and 300 stone. 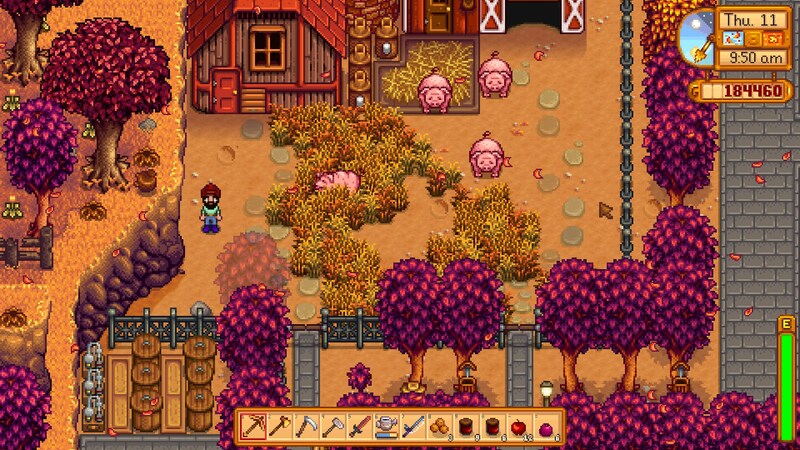 If you visit Marnie’s ranch, you can get a pig for 16,000 gold. And once the pig is fully grown, it will randomly start throwing truffle on your property. And all you have to do is to follow him and collect whenever he roots out a truffle. Having acquired the truffle, you might want to drop it into the oil maker from where you will get truffle oil in a short while. Once ready, bring truffle oil to mayor Lewis. The man will give you a 750-gold reward. In addition to the award, you will also earn some affection points with the old stud. The quest is very important and cannot be skipped. To progress further in the game, it is imperative that you follow the above instructions and procedures. There is a very systematic way to finish the quest successfully and once the players ensure to abide by the process, their chances of success increase a lot.